Bent u trotse bezitter van een Ednine? Registreer hem hier en u ontvangt een jaar extra garantie op uw Ednine Frame en Ednine Vork. In 2010 Engineer Edwin Van De Weghe came up with a challenging concept : to develop a fast, lightweight and agile ATB for the typical flatland off-road tracks. The result was an unconventional frame geometry with the top speed of a 29r but with the agility and playfulness of a 26r. 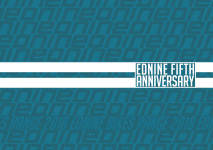 The first Ednine frame was officially launched in 2012. The first generation frame was already compatible to all kinds of wheelsets at that time (130/135mm), so it could be geared-up with lightweight racing wheels with off-road 29r tires, to make it accelerate even faster. Today’s all frames are even compatible with thru-axle (135x12mm and 142x12mm). On top of this all the frames are compatible with both disc and V-brake systems so it can adapt to all harsh, dirty, muddy and sandy conditions. Not only the geometry but also the materials used to construct Ednine frames are rather unique. Ednine frames are fully constructed with high tensile Japanese carbon fibers (Mitsubishi TR50 and Nano carbon CNFs). These fibers allow to create a reliable lightweight construction with a perfect balance of torsional stiffness and comfort. VHD or Versatile Head tube Design is the original frame concept. The position of the head tube allows both 470mm fixed forks and suspension forks. Combine this fast and agile frame with both disc and V-brake compatibility and you get the frame covering all disciplines of flatland off-road biking. LHD or Low Head tube Design allows a lower handlebar position while maintaining the same frame geometry as the VHD. The frame not only handles like a 26” ATB frame, it has the same low cockpit position as a 26r while having the advantages of a 29” wheelset. The LHD frame even has higher torsional stiffness compared to the VHD due to its compactness and is by far the most performing beach race frame ever. 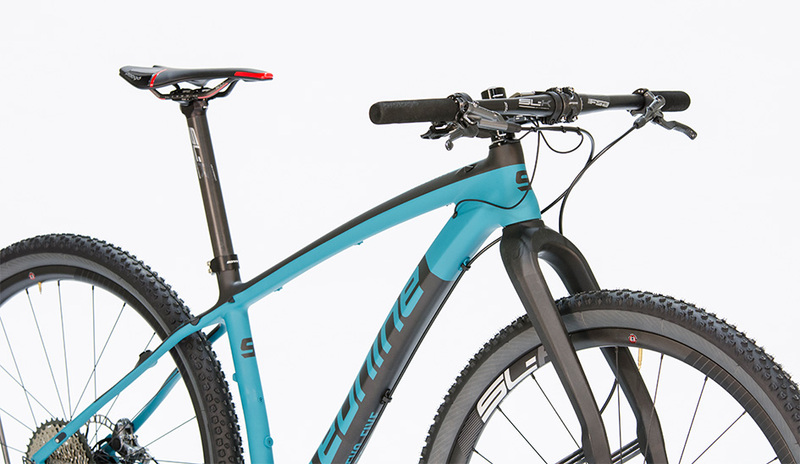 The LHD also serves as the core of the GRAVELGRINDER concept : a adventure/gravel bike with the agility of a cross bike but at the same time offering more comfort and top speed thanks to wider tire sections. 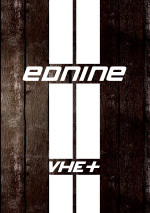 Both VHD and LHD Ednine frames, can be purchased separately in one of the colors as shown on the catalogue. 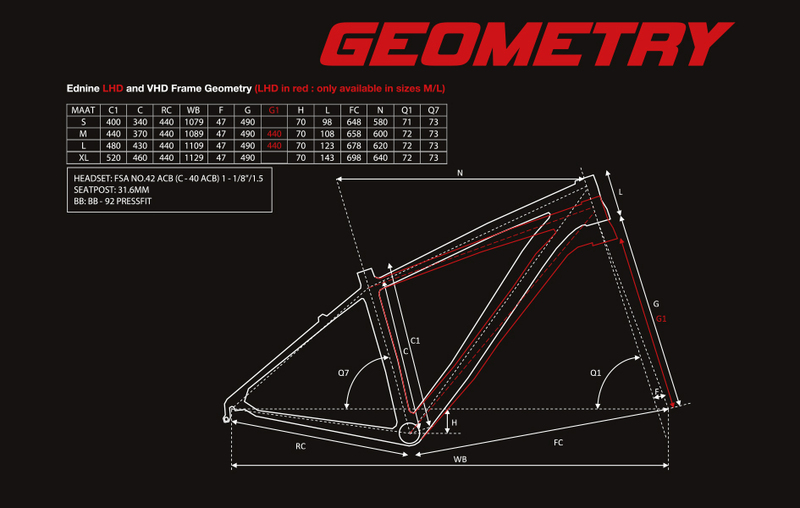 The LHD frame always comes with the specific Ednine LHD fork, due to the geometry of the frame. All framesets come with seat post clamp, cantilever caps and studs, disc brake adapter and 135/130 dropouts. 135x12mm and 142x12mm tru-axle adapters are sold separately.